I’m hoping I’ll have reasonable internet reception this week. It’s been lousy for a while. Saturday I had a weak hour then nothing. There were several times where I went to fact check and couldn’t. That’s frustrating. I’m finishing a historical now. I need facts! I constantly hunt down facts and check dates on common words the entire time I’m writing. You have to be careful with colloquial speak. Just because we say something now doesn’t mean it was said in the 1870s. It jars the brain to see it. Writing fiction with any degree of finesse requires the suspension of disbelief. In historicals, suspending disbelief allows the reader to be transported to that time. Take a story with paranormal elements. The best are those with enough truth woven in that the unlikely or downright preposterous seem perfectly plausible. I suppose that’s one reason I enjoy writing paranormal/fantasy elements. I like the challenge of suspending disbelief. We see this all the time in movies. Picture a WWII story set in Nazi Germany. All the German actors have British accents and we’re good with it. For Americans, there’s just enough “other” quality to it. This allows us to suspend our disbelief long enough to imagine we’re in Germany. My blog day at Romance Books ‘4’ Us is coming on October 4th. I just may expand this thought. Back in 1992 I went to see the movie The Last of the Mohicans. It was a visually spectacular rendition of the James Fenimore Cooper tale. For me there were two takeaways from the film — the first was an intense kiss that kissed my mind to see. I consider it one of the best kisses in film history. Take a peek. The second takeaway was a jarring bit of screenwriter lapse. Sadly I couldn’t find a bit on youtube to show here. There are 28 entries to come. 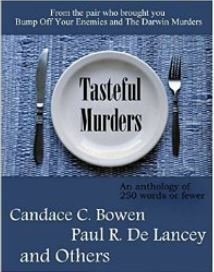 Today is Author Sandra K. Marshall’s blog day. Romance Books ‘4’ Us ~ Watch for the October contest! <– This is not a lag. It’s a statement. Learn how you can help stop the pending internet takeover by these heavy-hitting, well-funded Washington lobbyists. The FCC is taking comments now and wants to know what YOU think. Learn what’s at stake and how you can give your opinion to the FCC. 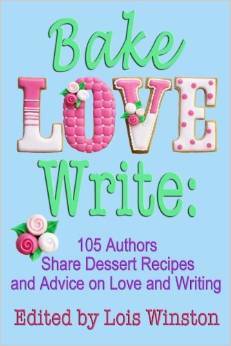 This entry was posted in Past Posts - you'll never know what you'll find and tagged Bake Love Write 105 Authors Share Dessert Recipes and Advice on Love and Writing, Net Neutrality, Romance, Rose Anderson, Suspension of disbelief. Bookmark the permalink. I am going to have to watch that kiss later with no glare on the screen. It comes out so dark I can barely see it. I have seen the movie several times and really like it. Your mention of the use of modern words in a historical makes me think of another phraseology that gets me. It is when someone uses a famous line out of an old movie in a new program. Last night on NCIS LA one of the two trapped agents in a submarine says something from a classic old movie. Right now I am having low blood pressure and don’t have the energy to watch the show again, but I recognized it immediately. I know in a scripted program you can’t give attribution, but you could just not use the cliche. The kiss is a favorite. Yes those out of the moment lines do leave one’s brain jarred.